A. Allison Dysart, lawyer, politician, judge, premier of New Brunswick (b at Cocagne, NB 22 Mar 1880; d at Moncton, NB 8 Dec 1962). Educated at Ontario Agricultural Coll, St Joseph's University and Dalhousie, he practised law in Bouctouche. 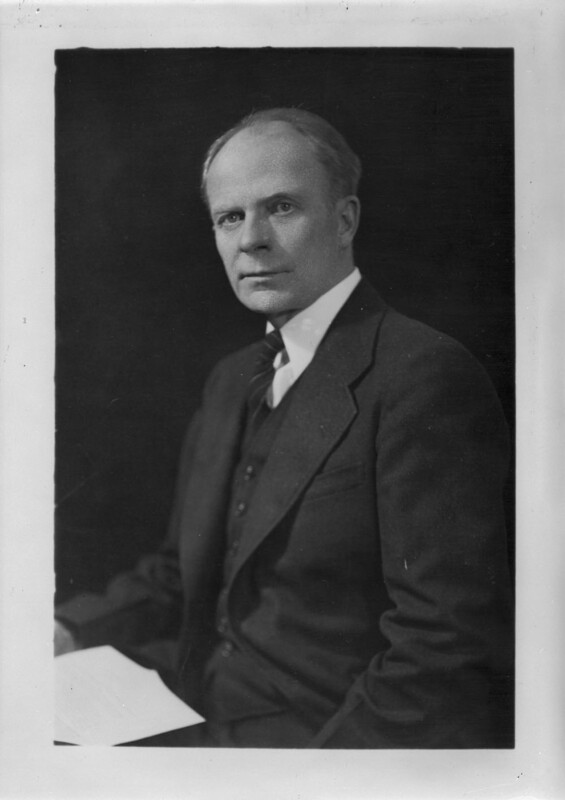 Albert Charles Saunders, lawyer, politician, judge, premier of PEI (b at Summerside, PEI 12 Oct 1874; d there 18 Oct 1943). 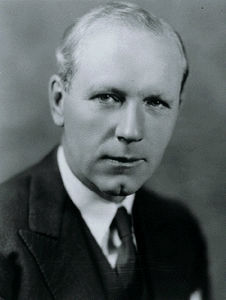 Saunders, having completed 4 terms as mayor of Summerside, became the Liberal Party leader in 1923, winning the 1927 election by supporting continuing liquor prohibition. 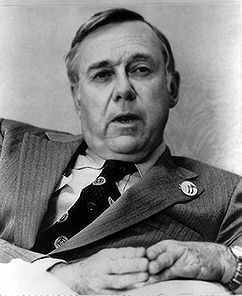 Alexander Bradshaw Campbell, lawyer, politician, premier of PEI 1966-78 (b at Summerside, PEI 1 Dec 1933). In 1966 Campbell became one of the youngest (age 33) premiers ever elected. Alexander Bannerman Warburton, historian, politician, premier of PEI 1897-98 (b at Charlottetown 5 Apr 1852; d there 14 Jan 1929). Warburton practised law in Charlottetown and won election as a Liberal to the provincial legislature in 1891. Alexander Edmund Batson Davie, lawyer, politician, premier of British Columbia 1887-89 (b at Wells, Eng 24 Nov 1847; d at Victoria 1 Aug 1889). 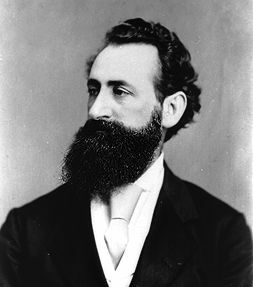 He immigrated to Vancouver Island in 1862 and was the first person to receive a complete legal education there, being called to the bar in 1873. Alexander Wallace Matheson, lawyer, politician, premier of PEI 1953-59 (b at Bellevue, PEI 11 June 1903; d at Charlottetown 3 Mar 1976). By 1978 exploration companies were using drilling permits from both the Newfoundland and federal governments. 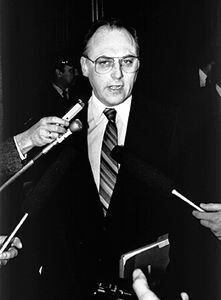 His aggressive championing of provincial rights gained widespread public support and enabled him to win his party's leadership in Mar 1979. 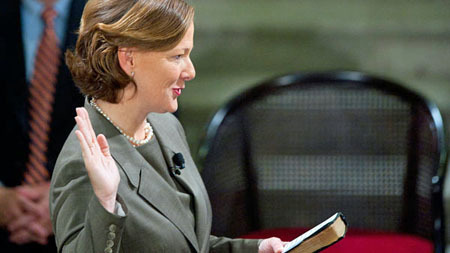 Alison Redford, QC, 14th premier of Alberta 2011–14, politician, lawyer (born 7 March 1965 in Kitimat, BC). After decades of service in international, federal and provincial politics, Redford was elected leader of the Progressive Conservative Party of Alberta and acclaimed premier of the province in 2011. She was the first woman to be premier of Alberta and the seventh woman in Canadian history to become the leader of a province or territory. Recruited by Tommy Douglas in 1950, the Rhodes scholar became one of the CCF government's most valuable civil servants, first as a legal adviser to the province's embattled crown corporations, then as a senior official in the Treasury Dept. Amor de Cosmos (né William Alexander Smith), newspaper editor, politician, premier of British Columbia 1872–74 (born 20 August 1825 in Windsor, NS; died 4 July 1897 in Victoria, BC). Andrew Charles Elliott, lawyer, judge, politician, premier of British Columbia 1876-78 (b in Ire c 1828; d at San Francisco, Calif 9 Apr 1889). Victorious in the election of 1933 during the Great Depression, Macdonald implemented old-age pensions and relief for the unemployed, and launched an inquiry (Jones Commission) into the effects of the tariff on the NS economy. Antonio J. Barrette, premier of Québec in 1960 and leader of the Union Nationale (born 26 May 1899 in Joliette, Québec; died 15 December 1968 in Montréal).